Radiesse® dermal filler is made of calcium-based microspheres suspended in a water-based gel, and is injected into the skin through a simple and minimally invasive procedure. RADIESSE dermal filler is the ideal choice for total facial contouring. It can restore a healthy, youthful appearance, enhance your existing features, help you defy age and gravity, and increase your confidence – all without invasive surgery or scarring. It is the longest lasting dermal filler, with results lasting up to 12 months! Learn more about “off-the-face” uses of Radiesse here. RADIESSE dermal filler works with your own body in a remarkable way. Upon injection, it immediately adds volume to safely contour, correct, and beautify facial features. 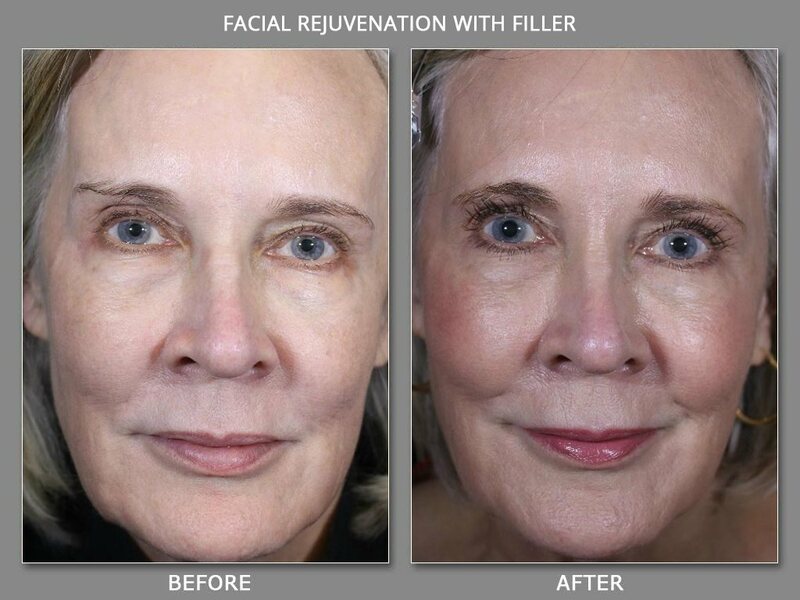 And unlike other fillers, RADIESSE dermal filler continues to work over time. With its patented microsphere technology, it starts a process called collagenesis, stimulating your body to produce new collagen and encouraging collagen to grow around the injection area. RADIESSE dermal filler actually helps your body create its own naturally younger look, setting a new standard in facial contouring and augmentation. RADIESSE dermal filler has been clinically tested extensively for years, with excellent safety and efficacy results. It has received CE mark certification, two FDA approvals, and a number of FDA clearances. RADIESSE dermal filler is made from a biocompatible substance that’s identical to what’s naturally found in the body. There’s virtually no risk of allergic reaction, and there have been very few side effects reported in clinical trials and actual use. Radiesse is manufactured and distributed by Merz US. Treatment with RADIESSE dermal filler is so simple and convenient, it can be performed during a lunch hour. You’ll see the results right away – and these results may last up to a year or more for many patients. The long-lasting effects of RADIESSE dermal filler can reduce the need for retreatment, which saves you time and money compared with other fillers.